Each year as March rolls around we have fun celebrating one of our favorite authors, Dr. Seuss. 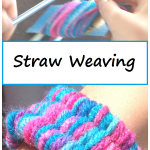 There are so many fun Seuss-inspired crafts and activities you can do with the kids. One of our favorite Dr. Seuss books is Ten Apples Up On Top! 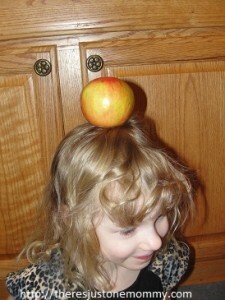 Recently we had fun with a few simple activities and a craft for Ten Apples up on Top. 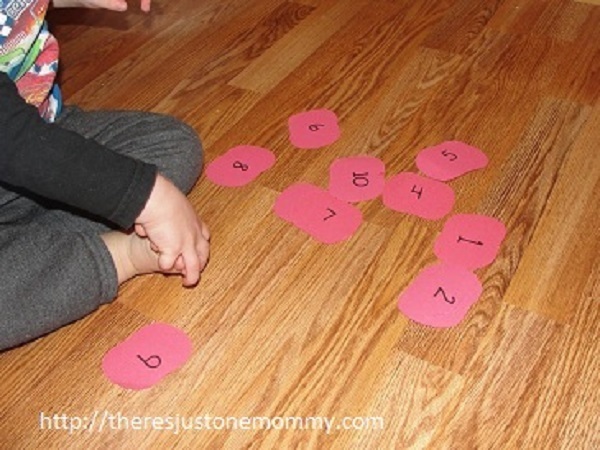 Counting: First we did a counting activity with some apples I had cut from red construction paper. 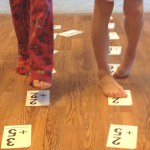 I made 2 sets (one for each kid), numbering them 1-10. The kids had fun putting the apples in the correct order. Balance: After arranging our apples in the right order, we talked about how hard it would be to balance apples on your head while doing some of the silly things the characters in the book do. We even tried to balance an apple of our own. Apple Tree Craft: Finally we talked about where apples come from and made our own little apple trees, complete with little red apples from the hole puncher (the kids thought these were a lot of fun). 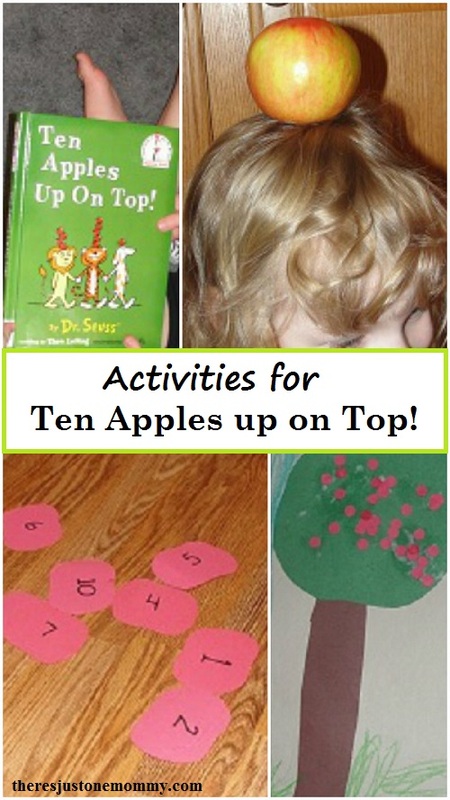 These Ten Apples up on Top book activities are perfect for preschoolers and kindergartners. 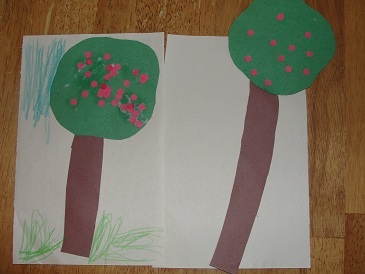 Yeah, I was really hoping the 4 year old would remember they were from trees…. Thankfully she did. 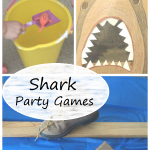 That is a great and enjoyable counting activity.. I am sure my son will gonna love to do this sometimes.. Thanks for the ideas! Hope you both enjoy it as much as we did! 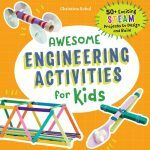 What fun you had! I love the apple balancing! I don’t think I could get to three.